Guinness has become the first beer brand to roll out NFC technology in the on-trade sector, in a bid to keep consumers engaged with the brand. The Diageo-owned stout is activating the NFC technology across all of its founts installed in pubs and bars across the UK and Ireland. The technology means consumers will be able to tap their smartphones against the harp symbol to unlock the "magic behind the gates" and see if they have won a complimentary pint. The new founts have been installed in 20 Stonegate Pub Group outlets already, which will trial the technology created by Proxama, until the end of August. Guinness has already fitted 11,442 NFC-enabled founts in establishments across the UK, with a further 53,000 intended to be installed by 2015. 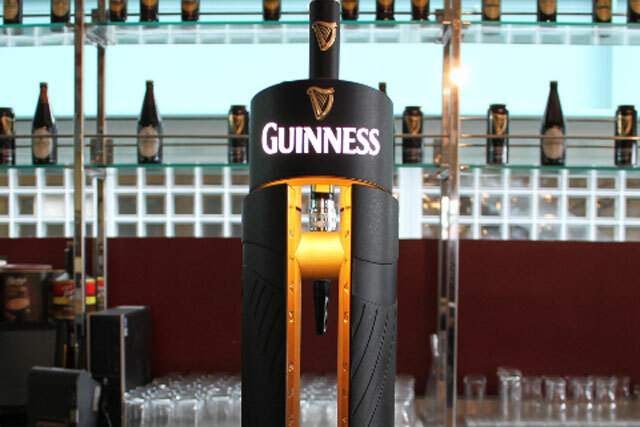 Nick Britton, marketing manager for Guinness Western Europe at Diageo, said: "Guinness is committed to using innovation to develop new marketing tools that will excite consumers and drive valuable sales for our customers. "The new NFC activity is a prime example of this, and shows how we have implemented the latest technology in our founts, to keep our audience engaged whilst rewarding them with offers, vouchers competitions and content." Guinness, alongside Johnnie Walker and Baileys, experienced single-digit sales decreases in its preliminary results released last month. Despite the decrease, the company said its marketing campaigns have given Diageo a competitive edge and helped to deliver a 5% net sales growth.